After months of hemming, hawing and exasperated sighing over blog names, J and I landed on “Chile Verde Chronicles.” We wanted our little sliver of the Internet to reflect who we are as a couple, food lovers, cooks, writers, editors and former Salt Lakers. 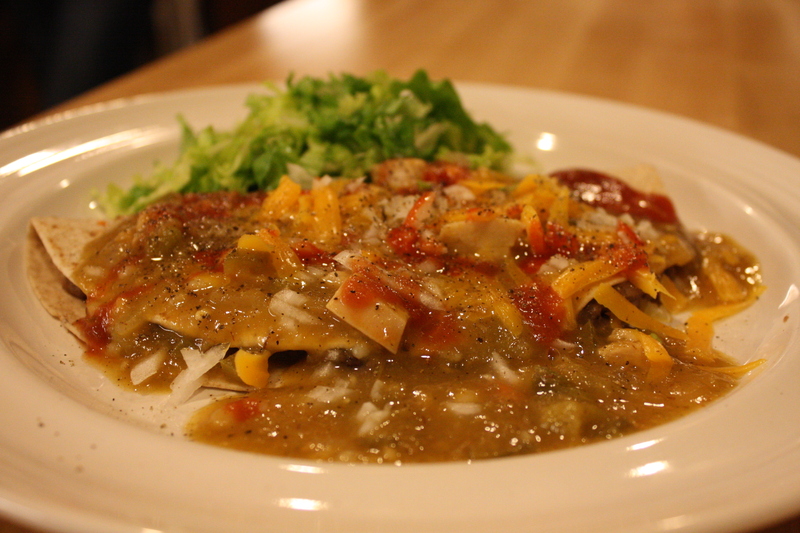 We think our quest for the best chile verde best represents our food adventures. Somehow, the pork-and-green-chile stew has become an icon in our families, and most of us can trace our love for the dish back to one Salt Lake City restaurant chain: La Frontera. Just about everyone in our family — siblings and parents alike — have their own versions of the stew, and many of us began by trying to achieve the flavor, texture and appearance of the LaFro original. The results, however, could not be more disparate. Nor could they be more delicious in their differences. In looking for a blog name, we wanted something emblematic of our love of food and tradition, and our hunger for discovering new dishes, restaurants, cultures, techniques and recipes. We want this blog to be a place to chronicle our dinners out, home-cooked meals, happy gatherings, discoveries and travels. Of course, our posts will extend beyond the namesake dish, but like coming home after a long trip, it represents all that is welcoming, comforting and familiar.